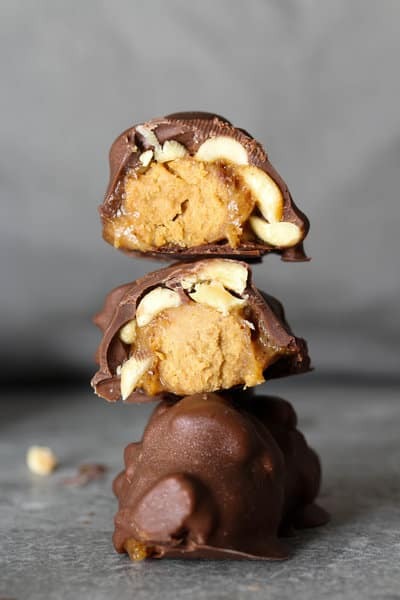 These chocolate peanut butter caramel candy bars are smooth and chewy with a hint of crunch and all sorts of deliciousness. 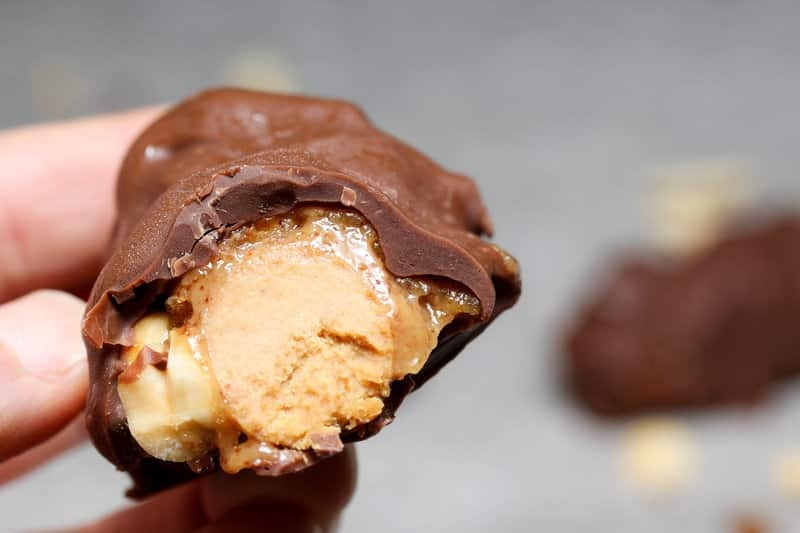 If you love indulgent candy bars, you’re going to drool over this healthy version of a Reeses’s Nutrageous bar! I will forever say that the REAL holidays are the day after the official holiday, because that’s when all the holiday-themed candy goes on sale! I really shouldn’t be allowed in the stores on those days. My love for candy is strong and my will power is weak! And, recently I found the Nutrageous Reese’s candy bar, which I’m pretty sure isn’t new, but it’s new to me. And I can’t eat enough of them! The candy bar is a peanut butter log coated with caramel, topped with peanuts, and smothered in chocolate. 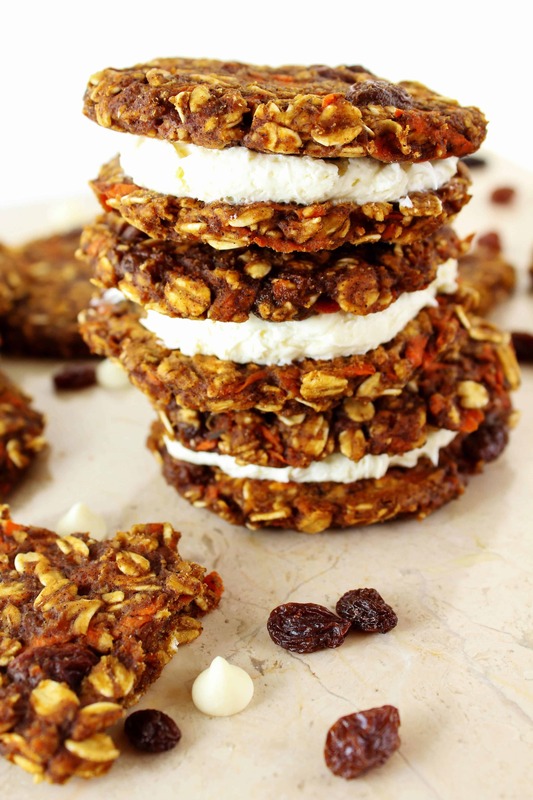 But, instead of “accidentally” eating an entire sugar-filled candy bar, why not make our own healthy version! 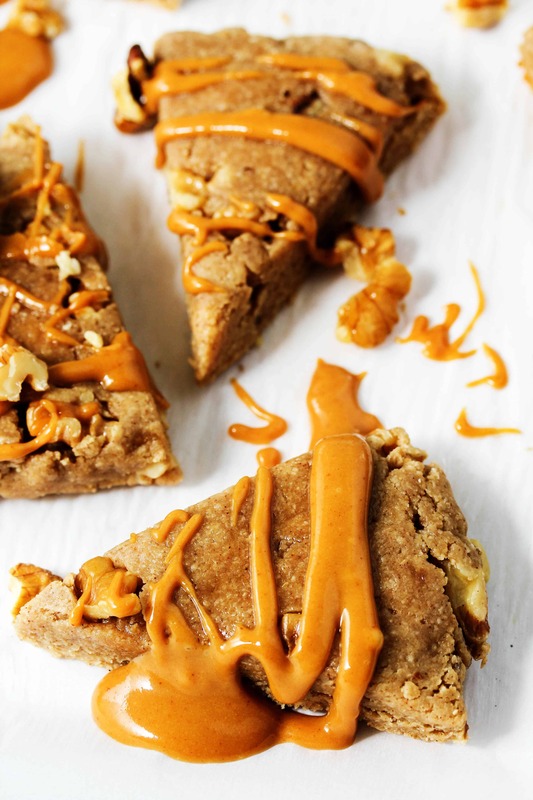 These healthy homemade bars are still full of peanut butter, caramel, and chocolate, but are low in sugar, high in protein, and just as delicious! 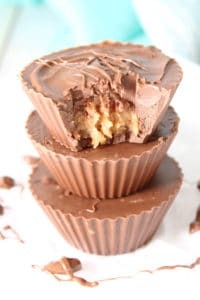 First, we need to make a chewy, creamy, deliciously peanut buttery mixture that will become the center of our candy bar. It turns into a play-doh-like consistency that is totally fun to play with easy to roll into logs. 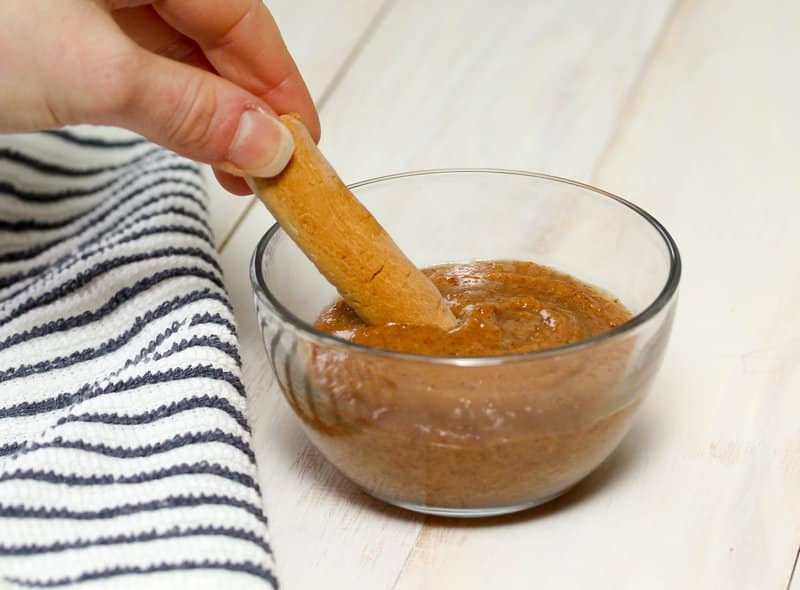 Second, we’re going to dip our peanut butter logs into a deliciously creamy, healthy caramel. 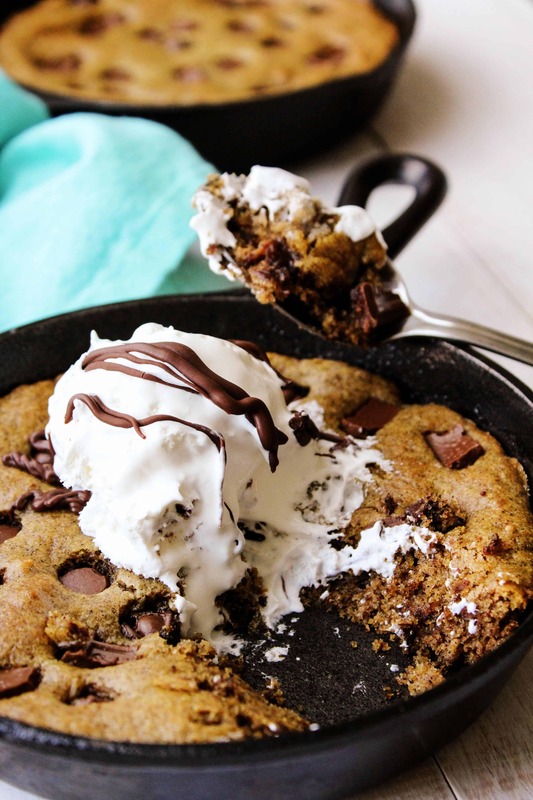 It’s rich and gooey in all the best ways. Third, we’re going to cover our caramel coated peanut butter logs in some peanuts and coat the whole scrumptious thing in chocolate. I’m really not sure anything can get any better! 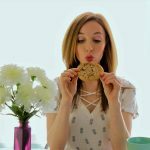 Unless you don’t like peanut butter…in which case, maybe you should get your taste buds check out ;p .
Of course, if you’re allergic to peanuts, I’ll let it slide. 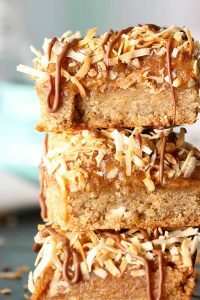 But, you could also try making these chocolate peanut butter caramel bars with almonds and almond butter and I’m sure it would be equally amazing. 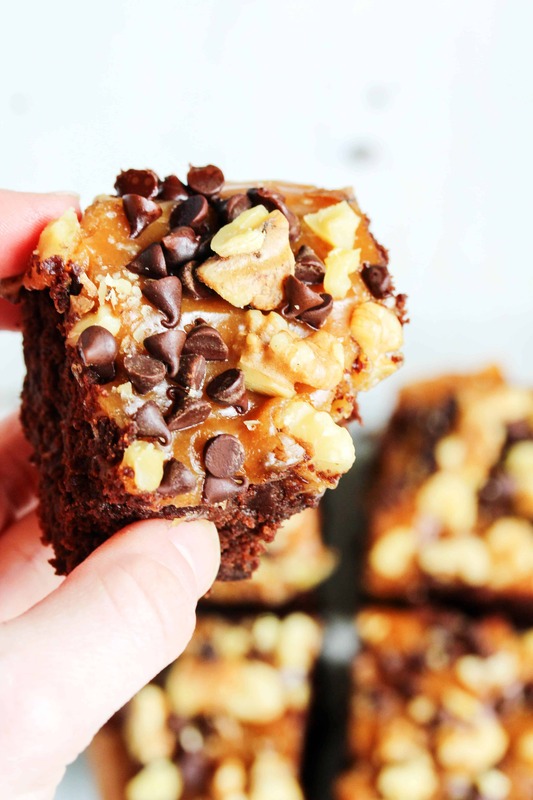 Nothing wrong with chocolate almond caramel bars! 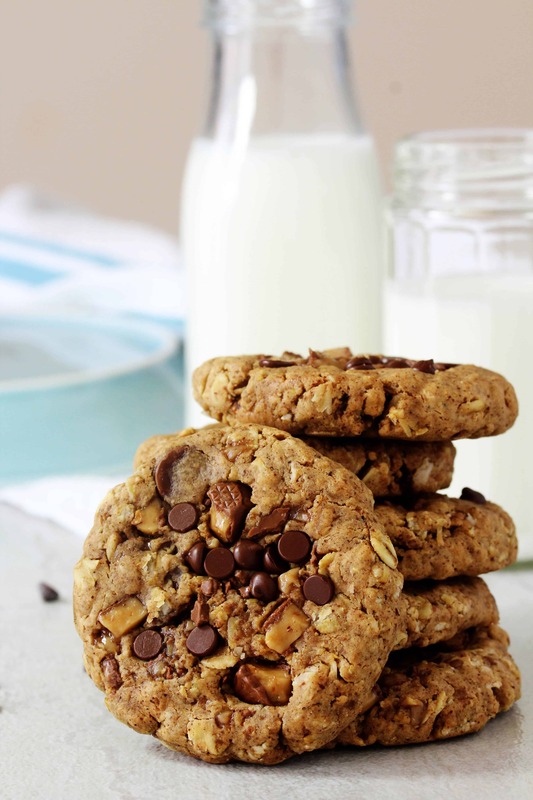 If you make these healthy treats, be sure to tag me – @HealthyHacksRD. I love to see your creations! And let me know in the comments: What is your favorite candy bar?? For the peanut butter center: in a medium sized bowl, stir together the powdered peanuts, peanut butter, water, vanilla, and salt. The dough should be smooth and not sticky. Take one piece, knead it in your hands slightly to get it soft and roll it between your hands to form a log. It should be about 3 inches long and 1/2 inch wide. Roll out the remaining pieces and place them on a sheet of parchment/freezer paper. Place that, uncovered, in the freezer until hard (about 1-2 hours). 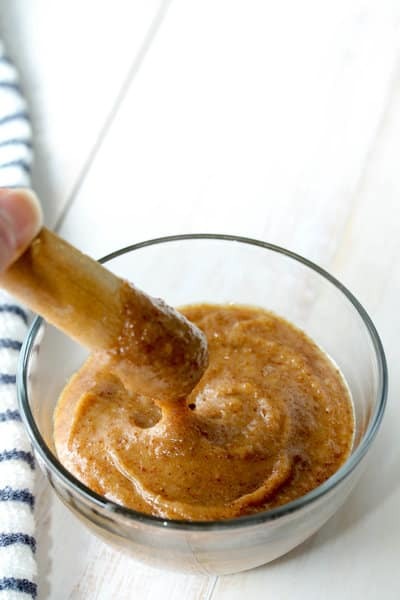 For the caramel: in the same bowl, stir together the almond butter, maple syrup, milk, cornstarch, vanilla, and salt. Place the caramel mixture in the fridge to thicken up (about 10 - 15 min). Once the peanut butter center is hardened, remove them from the freezer and the caramel from the fridge. 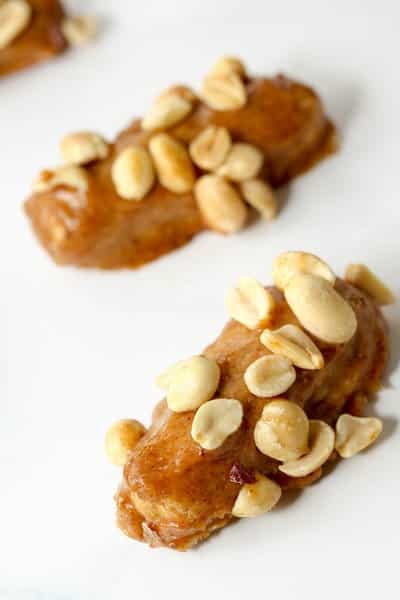 Dip or roll the peanut butter center in the caramel and place them back on the freezer or parchment paper. Return them to the freezer to harden (about 30 min - 1 hour). Once the caramel coated logs are firm, place the chocolate chips in a microwave safe bowl and melt the chips for about 60 - 90 seconds, stirring at 30 second intervals. Once completely melted, add the coconut oil and stir together to incorporate. Place one candy bar in the melted chocolate at a time, and spoon the chocolate over the bar, coating it completely. 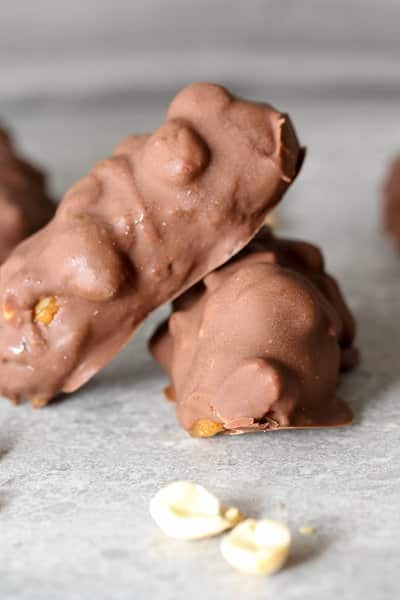 Using a fork, pick up the chocolate coated candy bar and allow the excess chocolate to drip off before returning it to the freezer/parchment paper. Repeat this step for all the bars, then return them to the freezer to set (about 10 - 15 min.). 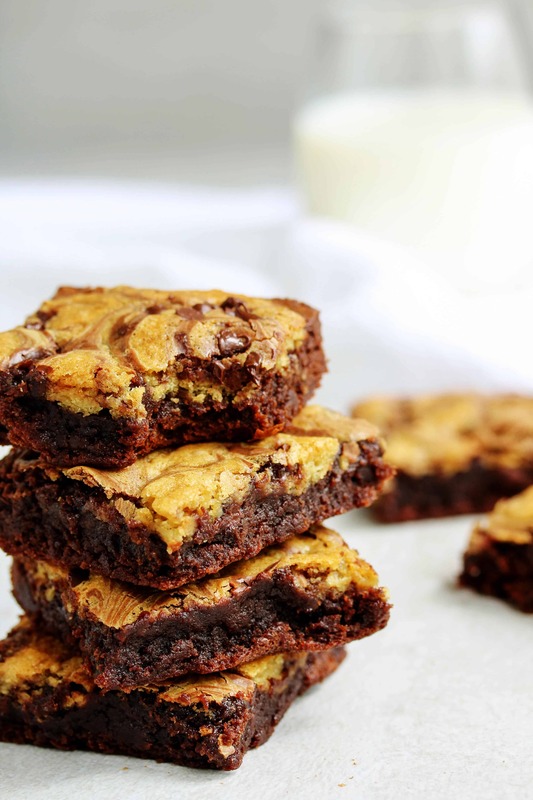 Enjoy drooling over your perfectly tasty, homemade candy bars! If by chance there are any left over, store them in a air tight container in the freezer. Prep time includes hands-on time only (freezing time not included). These are fantabulous!!!! OH MY GOSH. I am obsessed. Oh my gosh, perfection. I can never say no to a chocolate and pb combo! 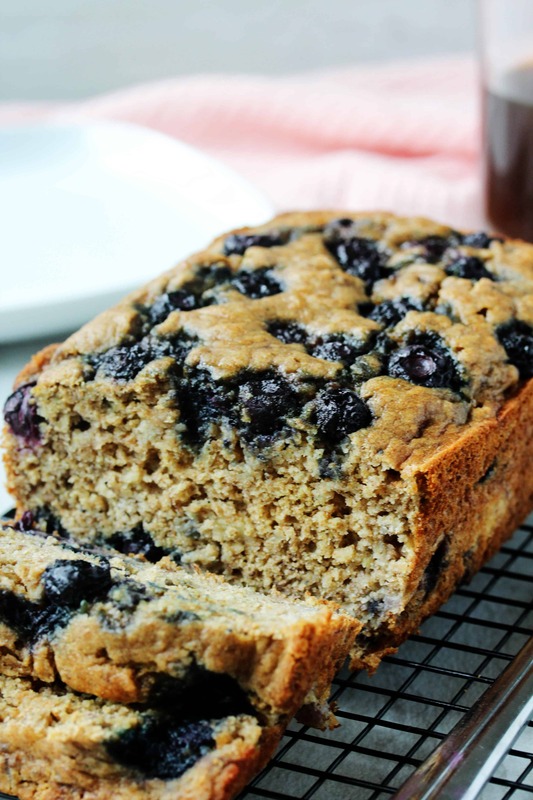 Saving this recipe right now! These are still too high in carbs for me. Can the maple syrup and corn starch be replaced with lower carb? Maybe monk fruit syrup and xanthan gum? Also low carb chocolate chips? Hi Vicki, you can use monk fruit syrup. Just be aware that it's a lot sweeter than maple syrup, so the amount needed to get the caramel the right consistency might make it very sweet. I also wouldn't recommend using xanthan gum in place of the cornstarch because it'd probably make the caramel very gummy. You could try almond flour, but I can't guarantee the caramel will set up right without the cornstarch... Hope this helps! What are the nutritional values on these?